When it comes to bathroom aids, sometimes a more specialised approach is required. Our bespoke shower commodes are made using the same 3D scanning process we use for our customised seating. 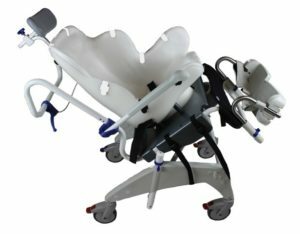 Mounted onto a high quality, tilt-in-space mobility base to make hygiene tasks a breeze. If you are interested in a custom-made product please give us a call on 9381 2087.